about the media Catalogue of the works of Nikolay Polissky, on the occasion of a solo exhibition in the Russian Pavilion of the 11th Architecture Biennale of Venice. about the project 'A Game of Chess. Tournament for Russia' is a catalogue dedicated to the work of Nicolay Pollisky on the occasion of 11th Architecture Biennale in Venice. The Russian pavilion was split into two for this presentation: the basement rooms were dedicated to a conceptual installation by Nikolai Polissky, in the other rooms there where exhibitions of Russian and foreign architects. 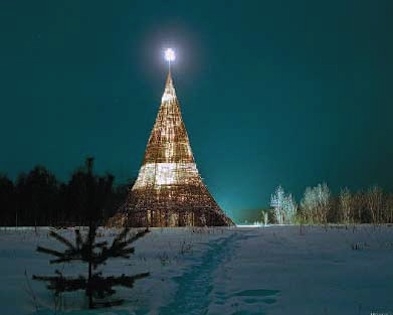 The Russian land-art specialist developed an installation around the theme 'architecture before building'. 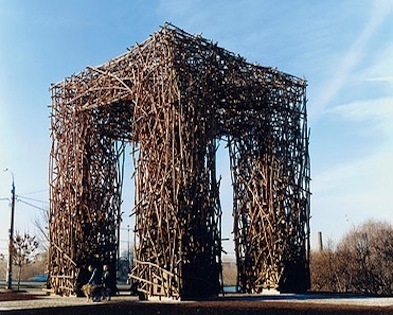 The catalogue contains mainly documentation of preveous works: photographs of his impressive landart projects. 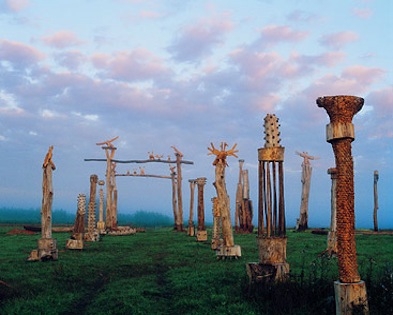 Nikolay Polissky moved to the village of Nikola-Lenivets in Kaluzhskaya Region in 1989 and creates art objects in collaboration with local residents and in unity with a magnificent landscape. 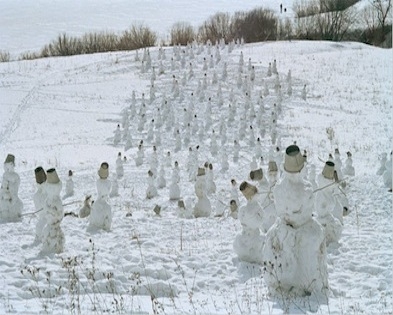 Besides his very first creation there — a myriad army of snowmen blundering over the snowy banks of the River Ugra — there are several projects documented, most of them around the village, some of them in Moskow, but always in collaboration with craftsman and women of Nikola-Lenivets. 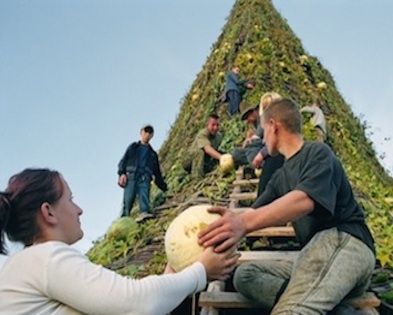 Irina Kulik, states in one of the essays of this catalogue:"For Polissky himself the social aspect of his project is almost more important than the visual, and the transformation of a dying village into an artistic community means almost as much as the construction of Babylonian towers from ecologically pure local materials. 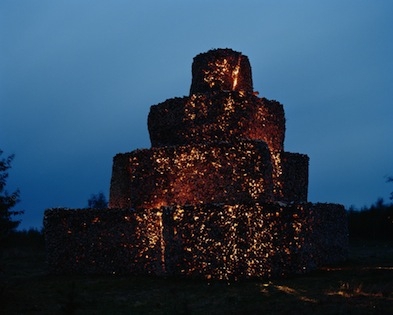 It’s not just that hay, snow, and firewood may serve as excellent materials for avant-garde landscape objects, but also traditional peasant occupations can become a wonderful way of creating contemporary art." Besides Irina Kuliks, also one of the curators of the exibition, Grigory Revzin, wrote an essay and Marya Sedova contributed an interview with the artist and a timeline.